I have a screener for this black and white beauty sitting in front of my TV, and if there's anything I'm looking forward to post-holiday, it's popping it in to revisit the glee I felt at this year's New York Film Festival. 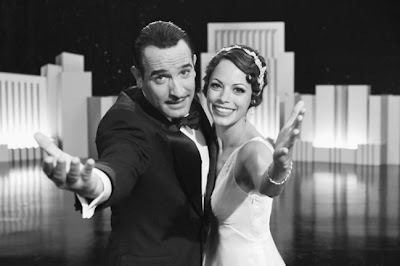 "The Artist" is all kinds of lovely, and since no films that top it on my Best of 2011 list have a prayer, I'm all for it claiming the Best Picture Oscar. Read my full review of "The Artist," now online at SouthPhillyReview.com. CLICK HERE.